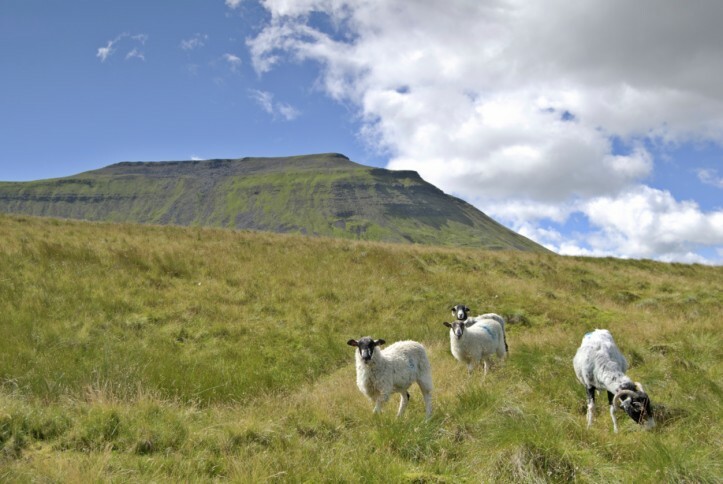 Thousands of people walk the Yorkshire 3 Peaks Challenge every year, but due to the nature of the challenge, aren't able to take their time to enjoy the stunning mountain scenery and explore nearby points of interest. I'm offering a package of three guided walks to climb a different mountain every day at a leisurely pace, allowing time to really get to know this beautiful area. You will be part of a small group of no more than six people plus your guide. Meet in Horton-in-Ribblesdale at about 9:15am, and enjoy a circular guided walk onto Pen-y-Ghent. This is traditionally the first mountain to be tackled by those doing the Yorkshire 3 Peaks Challenge. Our ascent will be at a relaxed pace to allow time to take photographs or admire the far-reaching views. A small amount of easy scrambling is required as we approach the summit. We'll then continue onto Plover Hill which is off the 'challenge' route. We'll also visit the fascinating phenomenon of Hull Pot - a massive natural hole in the ground. The walk will be about 9 miles/14km with approx.640 metres of ascent. Meeting at Ribblehead, near to the famous viaduct at about 9:15am, we'll initially follow the official route of the Yorkshire 3 Peaks Challenge onto the summit of Whernside standing at 736 metres above sea level. This is the highest mountain in Yorkshire and is at the county boundary with Cumbria. We'll then descend gradually down a broad grassy ridge over High Pike and West Fell, before joining part of the long distance Dales High Way footpath, then onto other paths back to Ribblehead. The walk is about 11 miles/18km with approx 570 metres of ascent. Starting and finishing in the village of Clapham, we'll climb the beautiful mountain of Ingleborough, ascending past the famous Gaping Gill, where the Fell Beck cascades into a 98 metre deep pothole which forms one of the largest known underground chambers in Britain. Upon reaching the flat summit, we'll have time to explore the interesting features before starting our descent which will pass over beautiful limestone pavement. This walk is about 11 miles/17km with approx 840 metres of ascent. The cost for all three guided walks is £105 per person. Please book and pay below. 20th - 22nd April. Climb one mountain each day for three days. Pen-y-Ghent, Whernside and Ingleborough all in the beautiful Yorkshire Dales. Advice regarding what to wear and what to bring with you. You are responsible for arranging your own accommodation. The town of Ingleton, or the villages of Horton-in-Ribblesdale, Clapham or Austwick are all conveniently located for anyone with a car. The towns of Kirkby Lonsdale and Settle are also just a short drive away. If you are considering arriving by public transport, then please contact me to investigate the possibilities.